Our Leisure Club offers a 365 day passport to excellent Leisure and Social facilities for non residents. Use of all the facilities is included for guests on holiday at Pantglas. To discuss our Leisure Club membership or to take out a membership package with us, call 01558 667915. 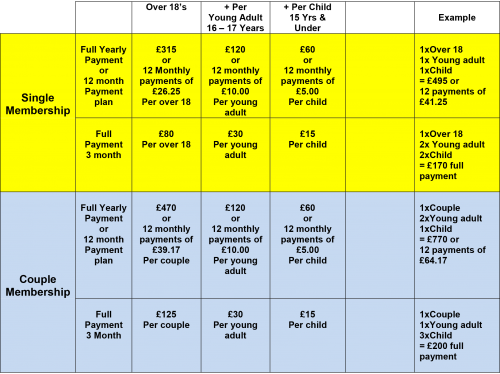 The Young Adult price only applies if it is with a full adult membership. If a 17 wanted to join on their own, they would pay full single membership price.